High quality flooring is a great addition to a living space. It provides an attractive and easy to clean alternative to carpets. 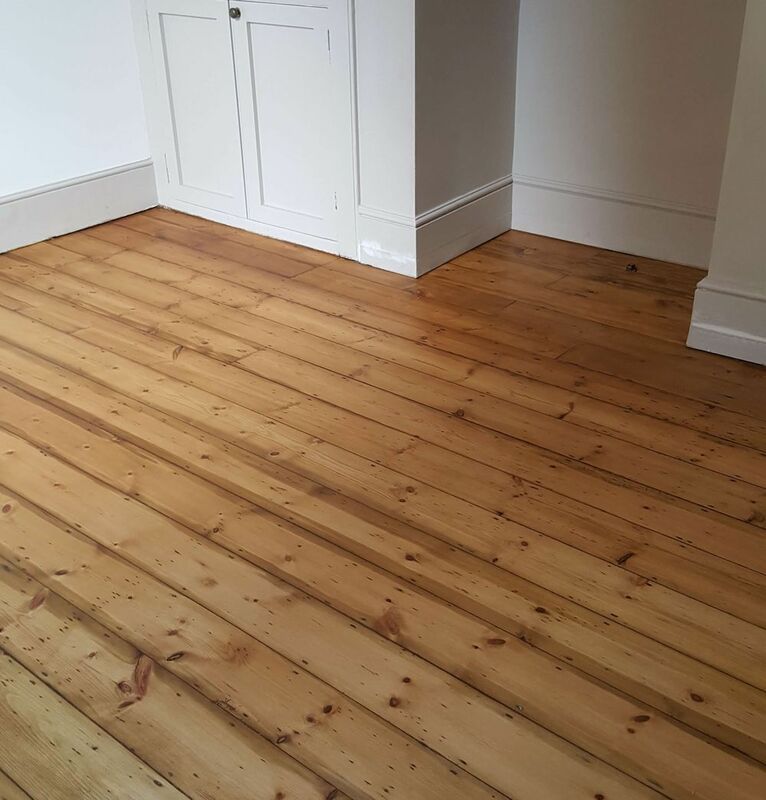 Using a Brighton flooring restoration company is a way to ensure your wooden floors remain in great shape- always. Whether the floor sanding is in your home or office, we have the right skills and resources to achieve the best possible results. We manage all aspects of the process from start to finish. At the end of our floor sanding process, your vintage floors will look new again. Here is a look at the process: The first stage will be preparation of the floor, this will involve de nailing of any protruding nails, nailing down of any loose boards and board replacements if and when necessary. The second stage again if required would be the fire half removal, first we would chase out the concrete, cut back the existing boards re-joist or glue the reclaimed pine back into the floor which provides a uniformed look. Pine fillet strips, these are glued and placed in between the gaps so they are protruding slightly higher than the floor, they are then sanded flush with the floor, which gives the effect of a solid pine floor. The second method is to make up a compound mixture of pva glue and very fine pine dust, this is then filled into the gaps using a filling knife, left to dry then sanded off. The fourth stage is the sanding process with our Swedish Bona upright sander we guarantee great smooth finished floors, which will be pleasing to the eye and have your friends looking upon with envy. 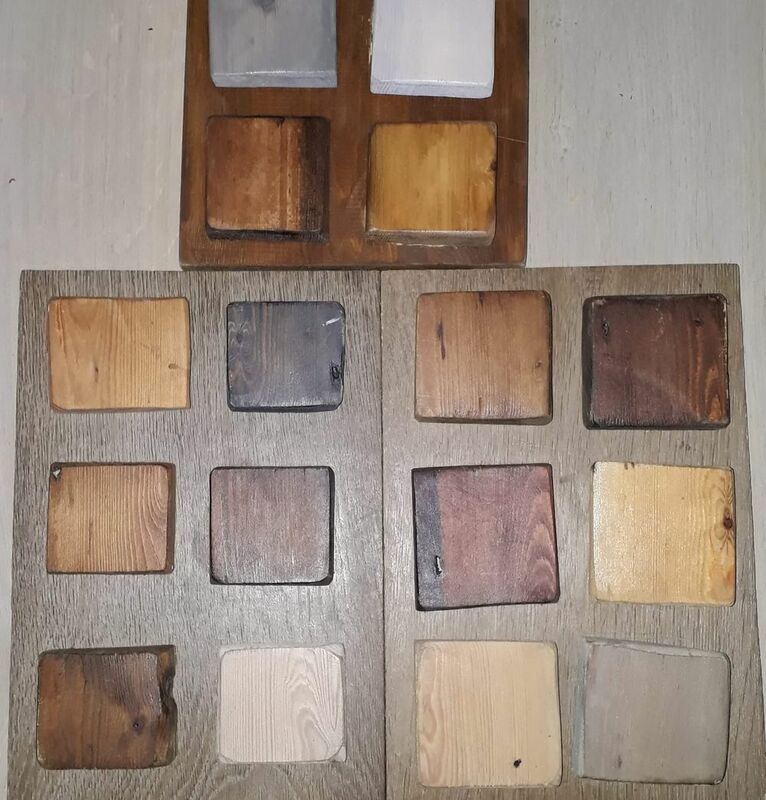 Working though the sanding grit sheets usually starting on a 24 or 40 grit depending on the initial condition of the floor, it will be sanded several times, with each stage using a finer abrasive until a super fine 120 grit finish is achieved. Staining your floor will add depth warmth and character to the floor, however we understand choosing a colour can be daunting and over whelming just by looking at pictures and small sample boards, so to help you choose the colour you would like we will sand a section of your floor back and apply samples for you to see on your actual floor, giving a true representation of what you will be getting while giving advice when needed. We use high end products such as Morrells wood stain which is quick drying and rich in colour and designed to give high grain definition. 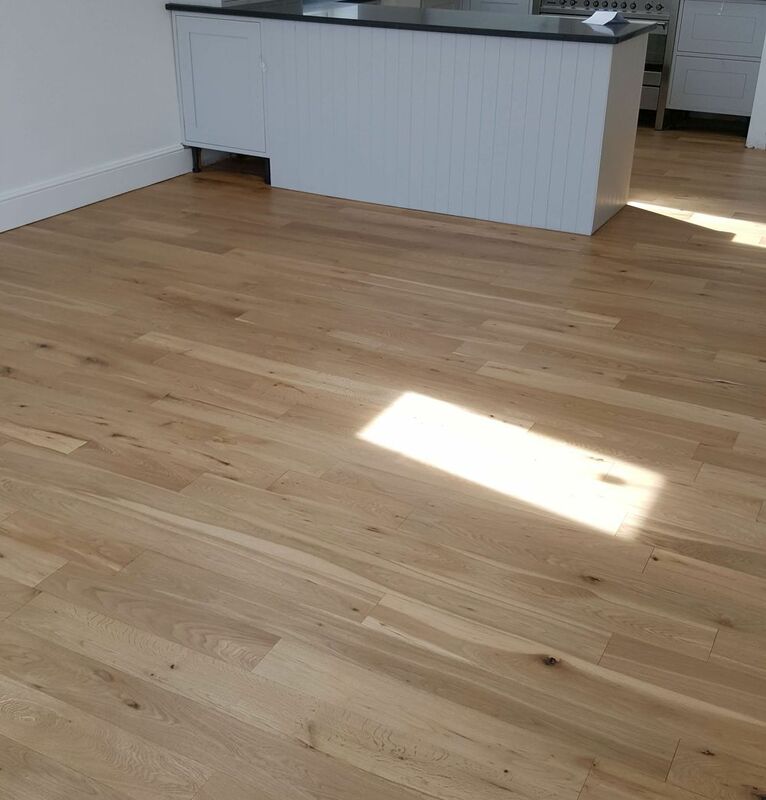 Now that the sanding is done the floor has to be sealed, we are sometimes asked if it is possible to leave it unfinished as they like the natural look, however wood is very porous and soft unprotected and would mark within days without protection. We recommend a water based eco-friendly lacquer to finish your floor as it will create a barrier over the floor and is the hardest wearing of all protections available. A first coat of seal is applied which will help close the pours and help stop the grain raising, while also enhancing the colour of the grain and character within the wood. After the first coat it is followed by applying 2 further coats to give ultimate protection and greater resistance to wear. Seals are available in Matt, Satin or Gloss, catering for everyone’s needs. Osmo natural hard wax Oils are also a good choice they are stain resistant, carry no nasty chemicals or biocides so are safe for your children and are available in various colour ranges. Bona Traffic is a waterborne 2 part (separate hardener) commercial grade finish. It is the industry’s premium finish for last ability and beauty. Designed specifically for the intense demands of heavy-traffic areas within commercial and residential areas. Bona Traffic’s advanced formula provides the ultimate in durability, outperforming any finish in the industry – moisture cure, solvent-based, oil-modified or other waterborne finishes. GREENGUARD certified for indoor air quality. Before we begin the floor sanding process, the first step we take is to arrange a visit over the phone with our customers. The visit is to discuss requirements, take some measurements and take photos. At the end of this, we send over a no obligation quote. At this stage, we will also be open for any questions you may have and our impeccable customer service means all questions will be answered with great experience and integrity. To ensure the best result in our floor sanding process we generally need a cleared room. We remove all furniture, allowing us unrestricted access to the floor. We have the manpower to move larger and heavy items without any issues. In rare cases where it would be difficult to clear the entire room, we focus on completing the job in two stages. We achieve this by moving furniture from one side of the space to the other. We still guarantee a uniform finish across all the floors. Before we begin sanding, we look out for loose boards and joists. Any outstanding issues are quickly nailed down and fixed. Floorboards that need replacing are changed immediately using reclaimed wood; matching it as close as possible. Give us a call today for a free initial consulation and quotation!